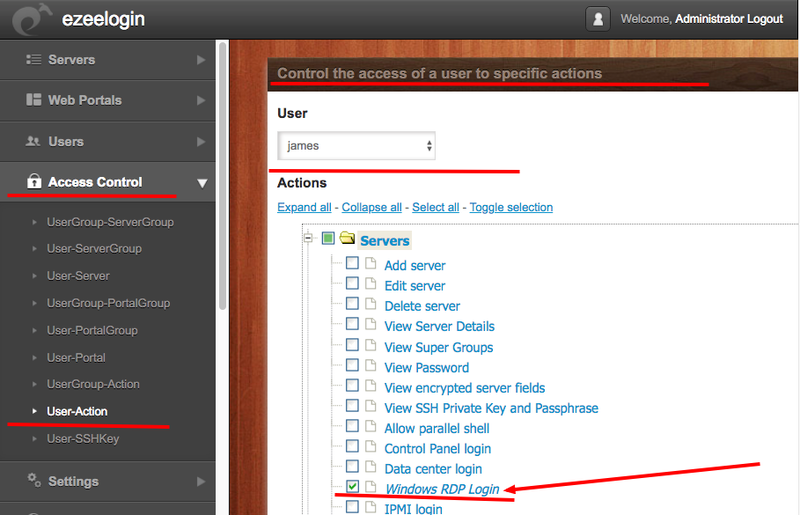 Add windows server into Ezeelogin GUI for one click RDP via the web browser. Ensure that desktop browser has enough cpu( 1-2GHZ) and RAM( 1GB ). Close out browser tabs so as to reduce the cpu footprint so that the browser based rdp works without slowness. On the gateway server, make sure to install nodejs. Once installed, ensure that the path to the node binary is specified correctly under Settings->General->Miscellaneous->Nodejs Command. Ensure that inbound tcp traffic on port 52555 is open as nodejs server listens on this port. Ensure that outbound tcp traffic on port 3389 is open as RDP listens on this port. Or put a valid ca, cert and key in the files: /usr/local/etc/ezlogin/tls_ca.pem, /usr/local/etc/ezlogin/tls_cert.pem & /usr/local/etc/ezlogin/tls_key.pem respectively. You can rename your current .crt / .key file to .pem file. 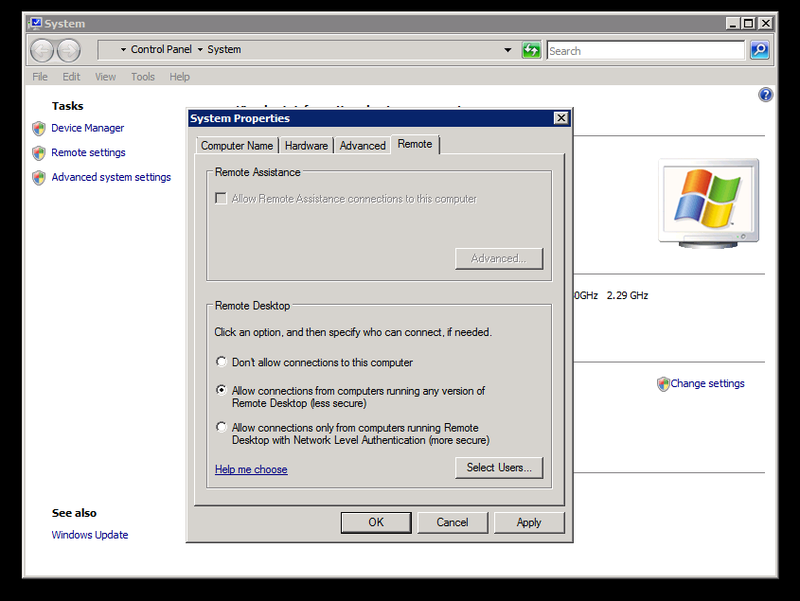 Ensure that Network Level Authentication ( NLA ) is disabled on the remote windows machine as shown. Unable to copy and paste the document to remote desktop. Posted - Thu, Jun 15, 2017 at 2:41 AM. This article has been viewed 2477 times. How do I prevent the root password of the target server that i add from being changed? Assigning user group for LDAP users? How do i add in bastion server into the ssh gateway when i dont know its password? how do i access the ssh logs history that was recorded for the ssh user ? In parallel shell i get "An error occurred. Please contact administrator"
Internal command ezinfo or ezlist does not work even though i am in the admins group. Password management and the different options. Can Network switches be added as a device and managed? server root password mass reset - Is there any risks for corruption?